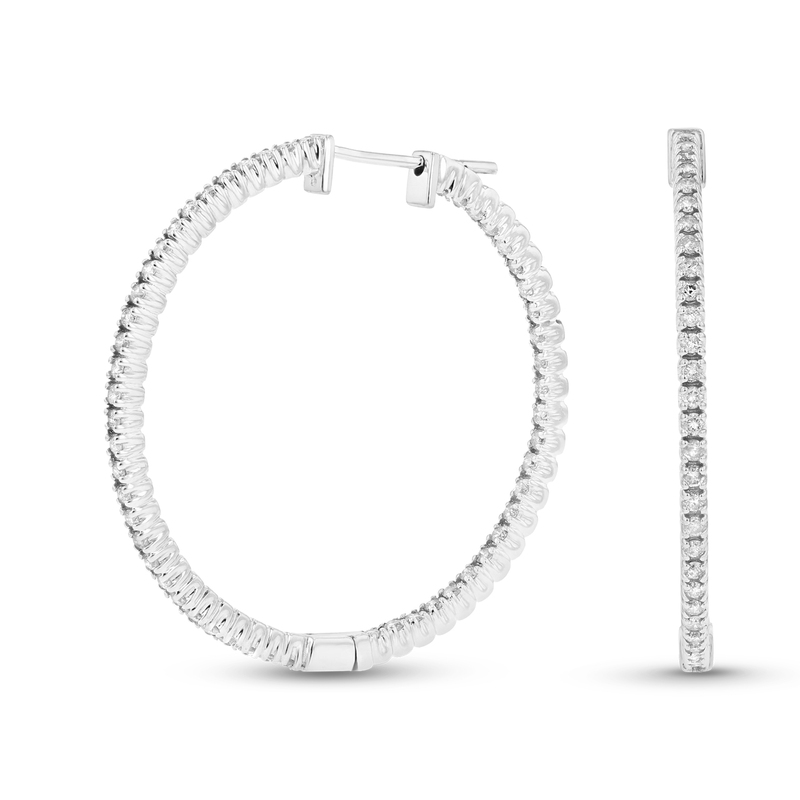 These eye-catching diamond hoop earrings are available in 14K white or yellow gold. The diamonds have a total carat weight of 1.10 carats. These earring are 1 1/4 inches in Diameter.